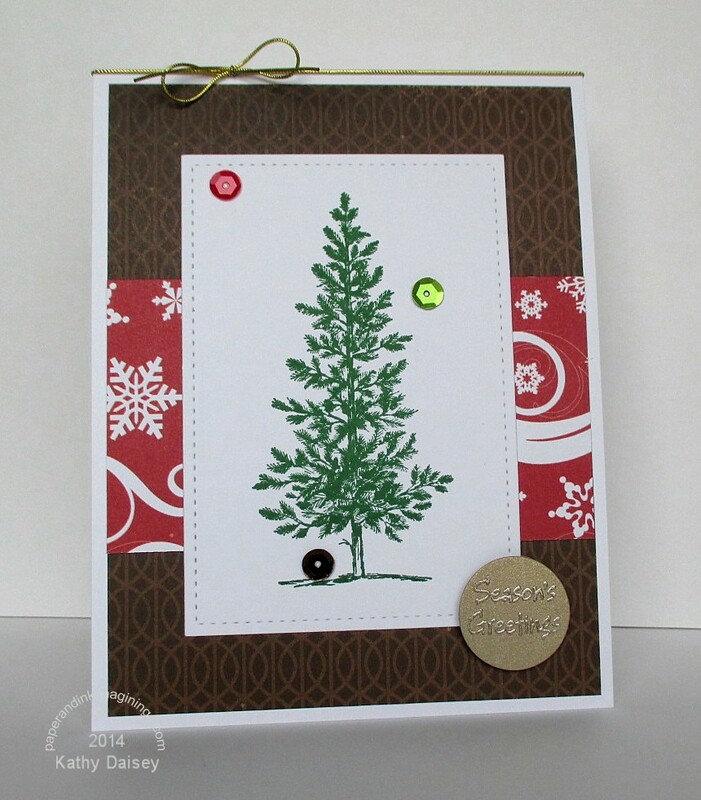 This week’s Splitcoaststampers Color Challenge (CC507) is titled, “Under the Tree”. The colors are Cherry Cobbler, Early Espresso, Garden Green, white as the neutral, and dessert option of a tree. The Carta Bella Bundled Up pad is still on my workspace – guess what made itself into a card?! If anyone knows where I can get fine, metallic elastic cord like this retired Stampin’ Up! product, please let me know! Supplies: Stamps – Hero Arts, Stampin’ Up!, paper – Carta Bella Bundled Up, Papertrey Ink White, Stampin’ Up! Brushed Gold, inks – Stampin’ Up! Garden Green, VersaFine Onyx Black, dies – Lawn Fawn (stitched rectangle), Spellbinders (circle), sequins – Doodlebug Designs Inc, embossing powder – Ranger Liquid Platinum, gold cord – Stampin’ Up! (retired). Categories: card, holiday | Tags: card, Carta Bella, Doodlebug Design Inc, Hero Arts, Lawn Fawn, Papertrey Ink, Ranger, Spellbinders, Splitcoaststampers Color Challenge, Stampin' Up! | Permalink. I had an idea in my head for this week’s Papertrey Ink Make it Monday (#186). Before I started, I checked for the latest Splitcoaststamper’s Color Challenge (#502 “Misty Green Midnight”). Voila! A card was born. In the gluing process, I messed up the dot for the letter I, but I knew that my enamel dots were the perfect size to use as a substitute. Supplies: Stamps – Papertrey Ink, paper – Papertrey Ink Kraft, White, Stampin’ Up! 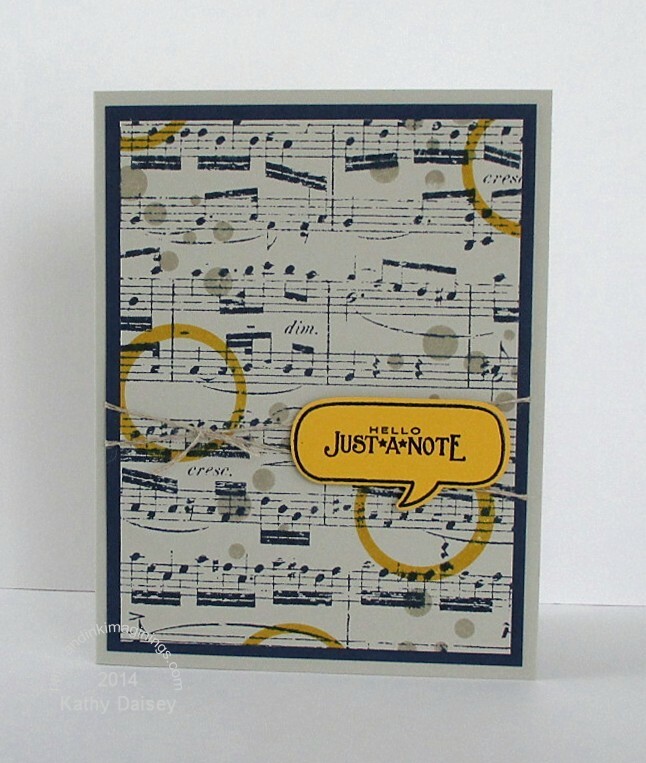 Marina Mist, inks – Stampin’ Up! Gumball Green (retired), Marina Mist, Midnight Muse (retired), VersaMark, die – Papertrey Ink, enamel dot – Stampin’ Up!, embossing folder – Provo Craft, embossing powder – Filigree Fine Art Powder, twine – Stampin’ Up! 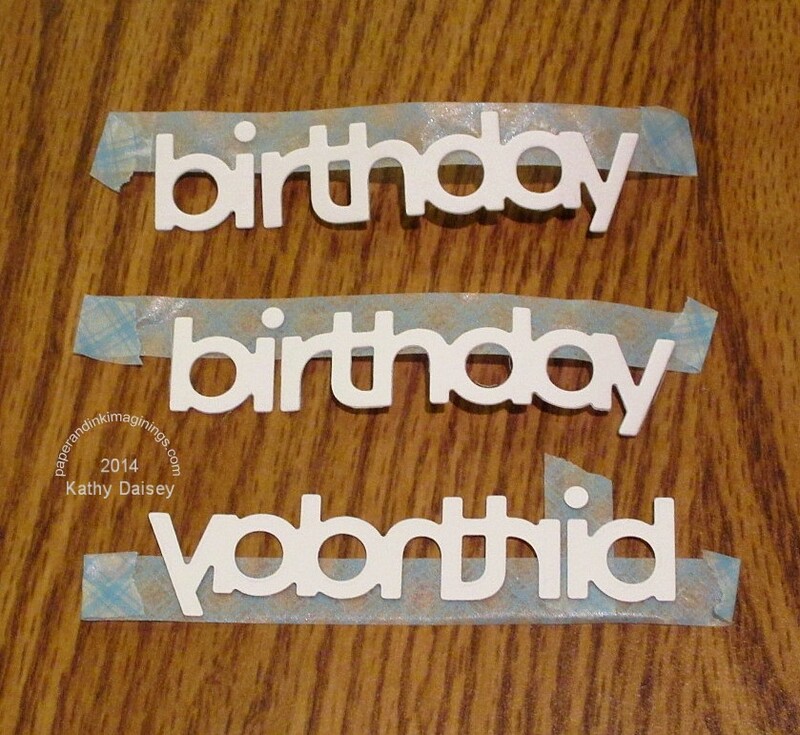 Categories: birthday, card | Tags: card, Papertrey Ink, Papertrey Ink Challenge, Provo Craft, Splitcoaststampers Color Challenge, Stampin' Up! | Permalink. This week’s Splitcoaststampers Color Challenge (#497) contained 2 colors that I don’t have in my collection, so I substituted Crushed Curry and Rich Razzleberry. LOVE this gratitude stamp by Inkadinkado. Supplies: Stamp – Inkadinkado, paper – Papertrey Ink Vintage Cream, Stampin’ Up! Crushed Curry, Rich Razzleberry, ink – VersaFine Onyx Black, embossing folder – Provo Craft, leaf sequins – Lawn Fawn, embossing powder – SU Classy Copper (retired), twine – We R Memory Keepers. Categories: card, holiday, thanks | Tags: card, Inkadinkado, Lawn Fawn, Papertrey Ink, Provo Craft, Splitcoaststampers Color Challenge, Stampin' Up!, We R Memory Keepers | Permalink. This week’s Splitcoaststampers Color Challenge (CC496) caught my eye. The challenge colors are Cherry Cobbler, Island Indigo, and Soft Sky, With dessert option of Christmas theme. 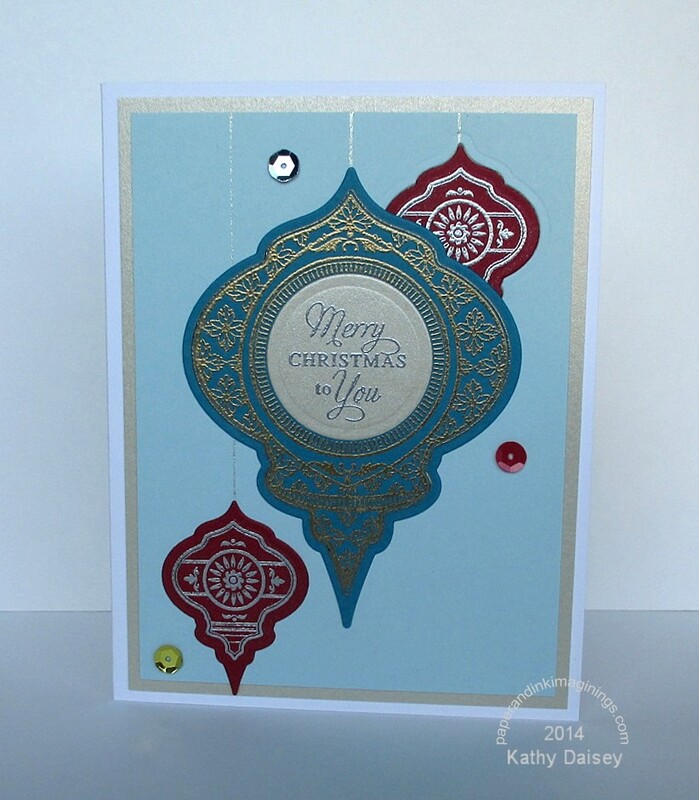 I stamped ornaments, embossed with metallic (told you I would keep using metallics this week!) embossing powder, and die cut them. I also die cut the Soft Sky layer so that I could embed the red die cut ornament (top right ornament) into the layer and not have ornaments stacked up too high. Supplies: Stamps – JustRite, paper – ESSE Cocoa, Papertrey Ink White, Stampin’ Up! Cherry Cobbler, Island Indigo, Soft Sky, ink – VersaFine Onyx Black, dies – Spellbinders, sequins – Doodlebug Designs, embossing powders – Stampin’ Up! Gold Detail Powder, Silver Detail Powder, Sakura glitter pen. 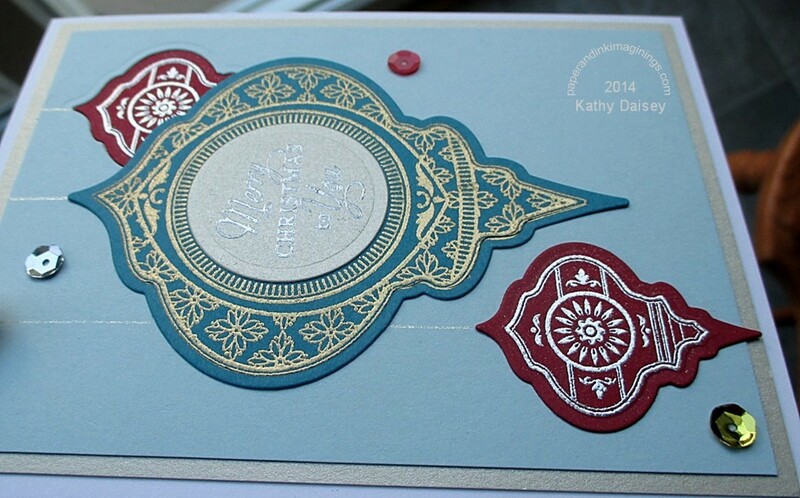 Categories: card, holiday | Tags: card, ESSE, JustRite, Papertrey Ink, Spellbinders, Splitcoaststampers Color Challenge, Stampin' Up! | Permalink. I made this background a few weeks ago, for Splitcoaststampers Color Challenge CC485. And didn’t like it right away. But I kept it around, pondering what to do with it. I applied inks directly to the stencils from my ink pads, and pressed onto wet watercolor paper. Supplies: Stamp – Papertrey Ink, paper – Canson watercolor, Papertrey Ink White, Stampin’ Up! Crushed Curry, Night of Navy, inks – Stampin’ Up! Crushed Curry, Night of Navy, Sahara Sand, VersaFine Onyx Black, stencils – Heidi Swapp, die – Spellbinders, embossing powder – Filigree Fine Art Powder clear, twine – We R Memory Keepers. 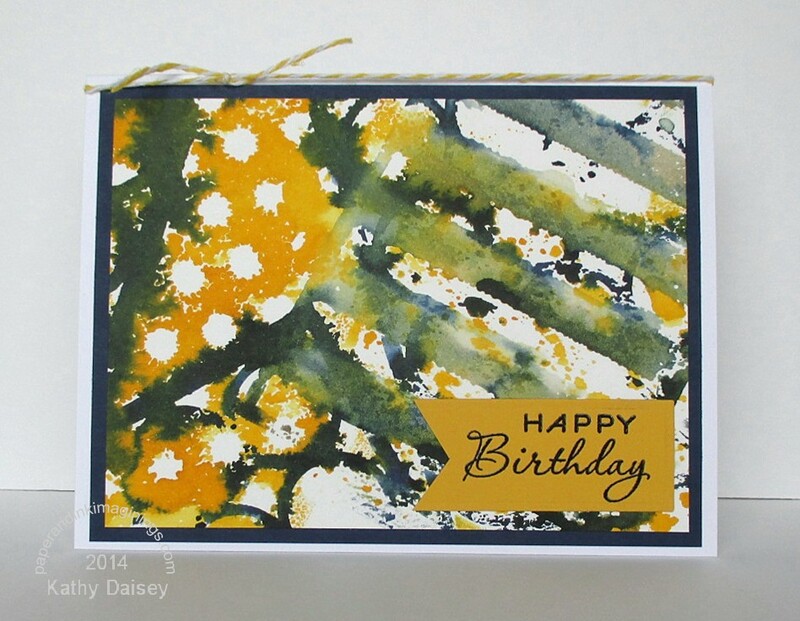 Categories: birthday, card | Tags: card, Heidi Swapp, Papertrey Ink, Spellbinders, Splitcoaststampers Color Challenge, Stampin' Up!, We R Memory Keepers | Permalink. The colors for this week’s Splitcoaststampers Color Challenge are Calypso Coral, Daffodil Delight, and Old Olive. With dessert option of anything other than an A2 card. Supplies: Stamps – Cornish Heritage Farms, Stampin’ Up!, paper – Papertrey Ink White, Stampin’ Up! Calypso Coral, Crumb Cake, Daffodil Delight, Old Olive, inks – Palette Noir Black, VersaFine Onyx Black, punches – All Night Media (small flower), Martha Stewart (cornflower), dies – Lawn Fawn (tag), Provo Craft (open leaves), Stampin’ Up! (banner, leaves), sequins – Doodlebug Designs, embossing powder – Filigree Fine Art Powder clear, organdy ribbon – Stampin’ Up! Categories: gift tag | Tags: All Night Media, card, Cornish Heritage Farms, Doodlebug Design Inc, Lawn Fawn, Martha Stewart, Provo Craft, Splitcoaststampers Color Challenge, Stampin' Up! | Permalink. This week’s Splitcoaststampers Color Challenge (CC485) is Hello Navy Sand (Hello Honey, Night of Navy, Sahara Sand), with dessert option of texture. I substituted Crushed Curry for Hello Honey, and counted linen thread as my texture. 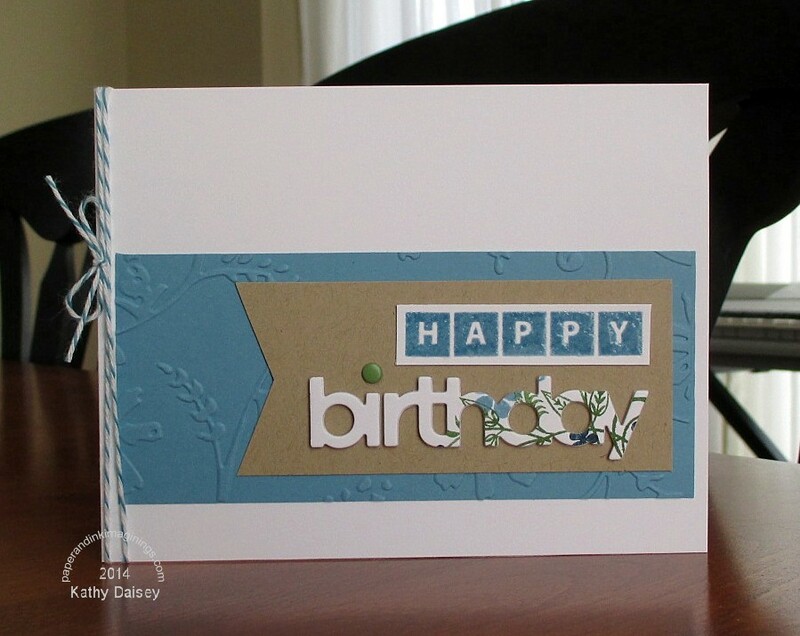 I set out to create a gender neutral card that was easily mailed…and (surprise!) I am happy with my final product! Supplies: Stamps: Hero Arts, Lawn Fawn, Papertrey Ink, Stampin’ Up!, paper – Stampin’ Up! Crushed Curry, Night of Navy, Sahara Sand, inks – Stampin’ Up! Crushed Curry, Night of Navy, Sahara Sand, VersaFine Onyx Black, die – Lawn Fawn, embossing powders – Filigree Fine Art Powder clear (text), Stampin’ Up! Navy (speech bubble), linen thread – Stampin’ Up! 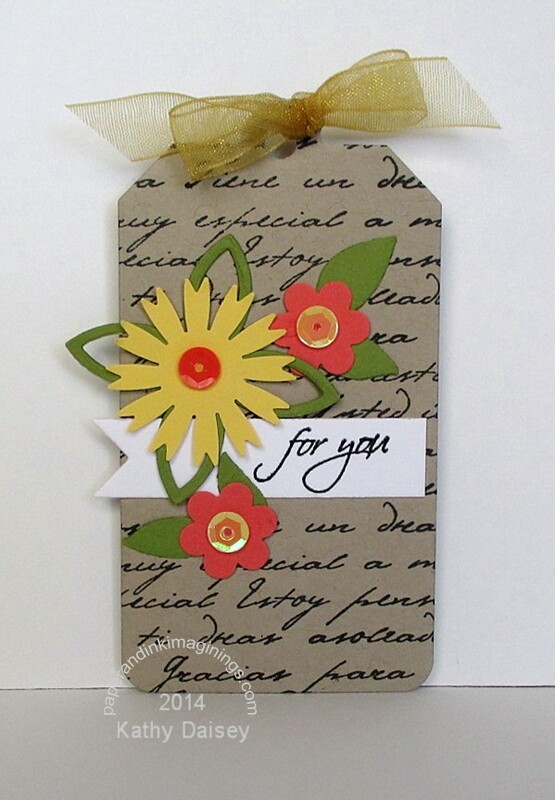 Categories: card, note | Tags: card, Hero Arts, Lawn Fawn, Papertrey Ink, Splitcoaststampers Color Challenge, Stampin' Up! | Permalink.